The day is here. The day of reckoning. 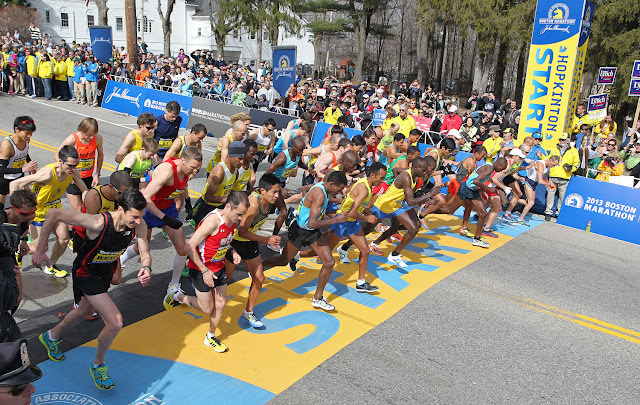 The day we find out my fate in regards to getting into the 2018 Boston Marathon. Okay, so maybe it was yesterday, but I spent all day refreshing my email a bazillion times and had zero energy to blog. The post you (and I) have been waiting on for nearly a year... Yup, I ran my first (and, thus far, ONLY) Boston Qualifying marathon 362 days ago, on October 1st, 2016. 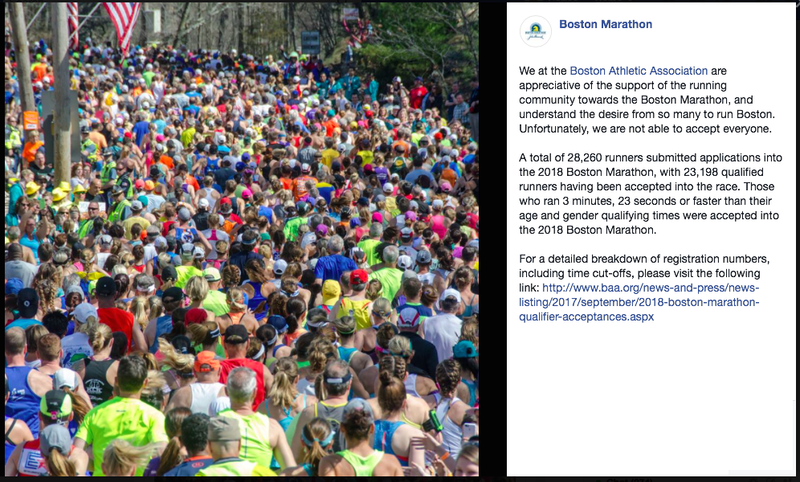 And I finally found out and can share with the world whether or not that time actually secured me a coveted spot into the 2018 Boston Marathon. 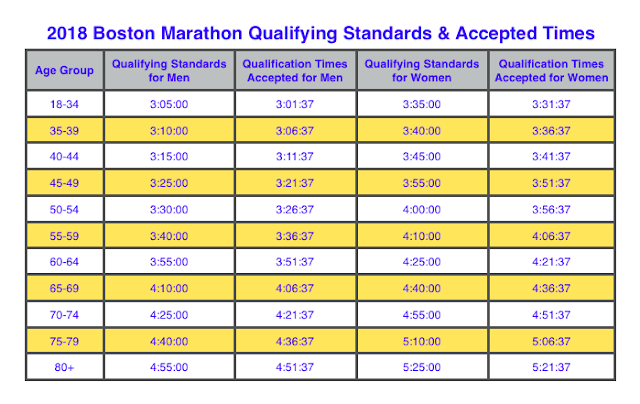 BUT my name is on the entry list and my time beats the official cut-off, so I'm going out on a limb and saying I'M IN! In case you don't remember, I had a four minute and ten second buffer from what my age and gender requirement was and what I ran my race at (3:35 vs 3:30:50). And, thankfully, this year I had barely enough wiggle room to get me a spot! Did you notice that?! The buffer this year was 3:23... I got in by 47 seconds... HOLY CRAPOLY! That is a less than 2 seconds per mile difference over the course of a marathon... A little too close for comfort if you ask me. I can't tell you how excited I am... Actually, I'm still sort of in shock. I mean, it seems like I've been working towards this goal for so long that it's surreal I may have legitimately reached it. You could say I'm still working through #AllTheFeels. I realize a lot can happen between now and April, but God willing, I will be toeing the line of the 2018 Boston Marathon! And I can't conclude this post without offering a sincere and heartfelt THANK YOU to each and every one of you! Your support, encouragement, and belief in me has meant more than you will ever know. I don't think I'll ever be able to repay you for your generosity and kindness, but please know that I am forever grateful for you and your presence in my life! What was the last goal you went for with your whole heart? Yay! Congratulations lady! Hard work pays off! I was following your twitter all day yesterday in hopes of you posting something! CONGRATULATIONS! I seriously have been stalking your FB and instagram to see if you got in or not! Huge congrats!!!! See you in Chicago! Ahhhhh!!!! Yay! Congratulations! I was stalking your IG story and didn't even see your post! Congratulations! I wish you all the best. 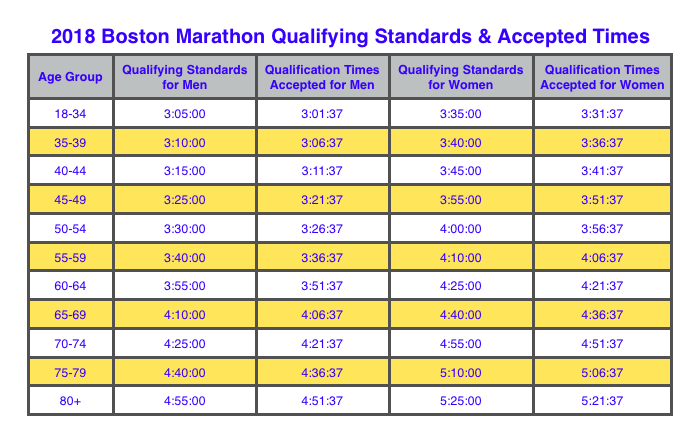 I guess I didn't know that you had to qualify beforehand to be in the Boston Marathon. Learn something new every day!